Missed the whole vacation window? There's still time to get your sun/fun on. You can plan your family's spring break whenever you want to via the Splash & Stay Package at Omni La Costa Resort & Spa. TO EVERYTHING, A WINDOW: We often bandy about the word "window" when we're not speaking of the glass square in the wall, the one that lets in light. We use the word in reference to time, and a set amount of time, specifically. "That window has passed" means the opportunity to seize a moment is done, or "I'll have the window for that next week" is saying "don't ask me to do anything right now." Occasions, too, have windows -- the Christmas window seems to open around October nowadays -- but there is one annual event that can occupy pretty much any window it chooses, despite having a season in its name. We speak of spring break, which typically falls around March or April, and is usually associated with students taking a vacation. But if you're not into typical things, and you still like the notion of spring break, even beyond spring, and you want to treat the family, well, your window is wide open: Omni La Costa Resort & Spa's Splash & Stay package is on through the very end of 2016. IN THE DEAL: Your tots will get two hours per day of fun times at Kidtopia Kids Club (so if you want to check out the adult pool, that would be a solid window). A s'mores kit is also part of the package, as is a daily breakfast for the family at Bistro 65. And as for dinner? Count on a $100 resort credit to use towards meals on the property (that's a hundred bucks "per room, per night"). 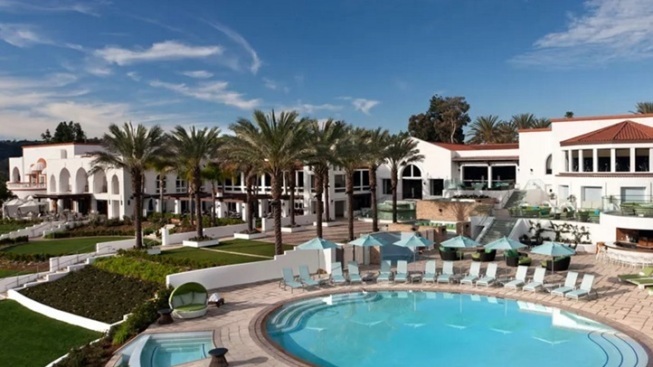 The Carlsbad getaway experiences several fine weather days a year, well beyond spring, so plan some afternoons at the various pools, including the one geared to grown-ups and the waterslide-bedecked Splash Landing Pool (there's also the Sandy Beach Family Pool, for smaller tots). Ready to throw your own spring break, whenever you want to open that particular window? You've got through Dec. 31, 2016 to enjoy a time of year that's far too fleeting.